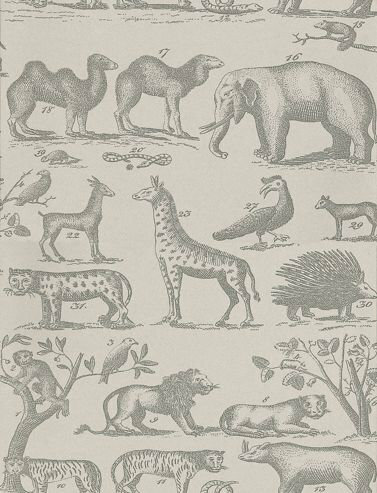 A vintage look wallpaper with animals from the jungle such as lions, snakes and elephants. Shown here in cloud grey with darker grey detailing. Other colourways are available. Please request a sample for a true colour match.